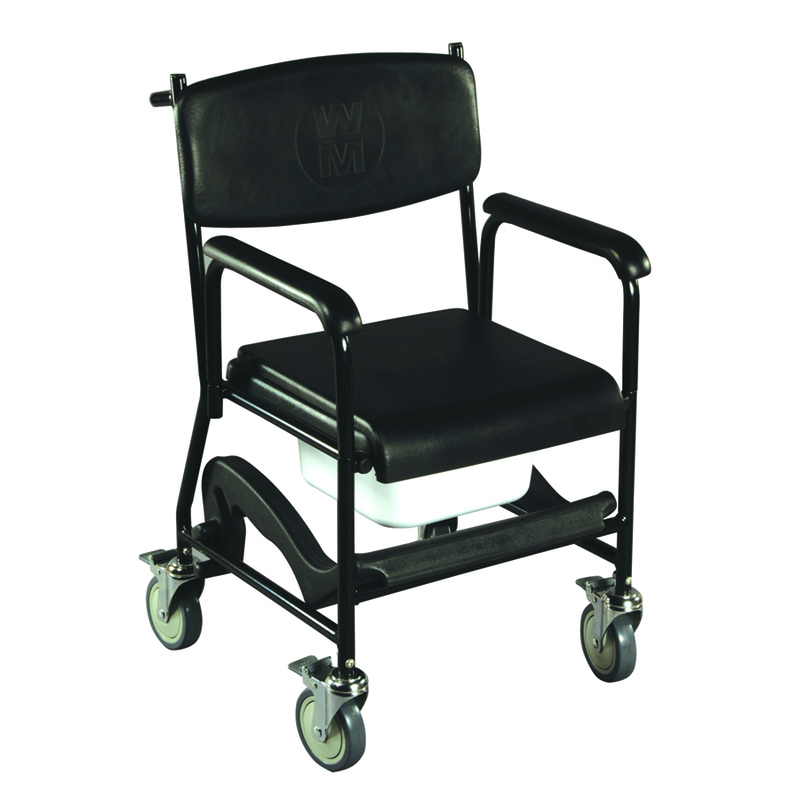 The Markfield Mobile Commode is supplied with a comfortable cellular moulded commode seat, backrest, over seat, and padded detachable armrests. The Markfield Mobile Commode is supplied with a comfortable cellular moulded commode seat, backrest, over seat, and padded detachable armrests. It also features a plastic rota moulded detachable footrest and 4 plastic braked castors. A pushing handle and commode bowl are supplied as standard. The castors are bolted to the frame for added safety.